Shea nails this rockstar romance! Kacey Shea rocks the socks off this bad boy rockstar and humble security officer. She develops Austin and Jayla in a slow burn wrapped with scars from the past and a refreshing newness to a couple comforted by blending the old and the new. Shea writes Jayla with a tough as nails attitude but leaves her kryptonite dangling in front of her. A bit of a paradox of sorts, as Austin is the wild card to Jayla’s rock solid stability. Together they fill in the missing years and must decide if this is their time or if they are passing in the night one last time. Shea nails this rockstar romance! From Author Kacey Shea, REPLAY is live early! That’s right! Austin and Jayla’s story is FREE to read with KindleUnlimited and just $2.99 for a very limited time. This second chance, friends to lovers romance will make you laugh, swoon, and fall in love as these two find their way back to each other. Replay is the final book in the Off Track Records series, but each book can be read as a standalone. If you’d like to start back at the beginning all of my rock stars are FREE to read with a KU subscription or available on Amazon. Still not sure if this is the book for you? How about an exclusive look inside Replay? Austin and Jayla’s second chance at love is a hard fought battle, but well worth the wait. Start reading Austin and Jayla’s story today! This entry was posted in Blog on March 13, 2019 by Maggie Jane Schuler. Thank you Red! I’m glad you enjoyed Sam and Blake’s Finale! The Playbook picks up right where Up to Bat ended. We were left wondering what will happen with Sam. All of the questions you asked and waited anxiously to know the answers to are revealed but not everything will be as you expect. Maggie Jane Schuler does an amazing job of keeping the readers on their toes in this romantic suspense filled book. I fell in love with Blake and Sam while reading book 1. I can relate to Sam’s innocence and instant love for Blake. My whole heart wants them to find their HEA. Their whirlwind romance compounded by the stress and drama surrounding the pair made me read on and on into the night just waiting to see who is responsible for the chaos. Who is causing the problems which seems to be following Sam where ever she goes? This entry was posted in Blog on December 5, 2018 by Maggie Jane Schuler. This entry was posted in Blog, Mr. Designs Video on October 12, 2018 by Maggie Jane Schuler. Giveaway ends April 04, 2017. This entry was posted in Blog on March 28, 2017 by Maggie Jane Schuler. Resurrection is live and reviews are posting daily. Thank you to everyone for a beautiful first week! Please keep sharing Jenna and Chase’s story. Second chances don’t come around often and when they do you better embrace them with everything you’ve got! This entry was posted in Blog on March 19, 2017 by Maggie Jane Schuler. Resurrection Giveaway Final Day to Enter! 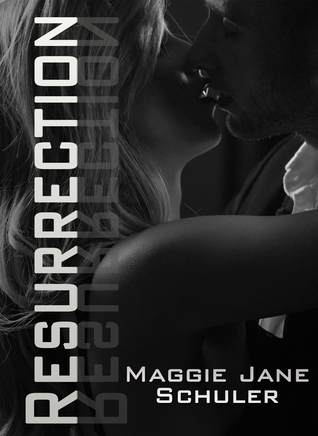 #OneClick your copy of Maggie Jane Schuler’s NewRelease, Resurrection!! Don’t forget to enter the #Giveaway! This entry was posted in Blog on March 17, 2017 by Maggie Jane Schuler. Resurrection Teaser Countdown 3 days! 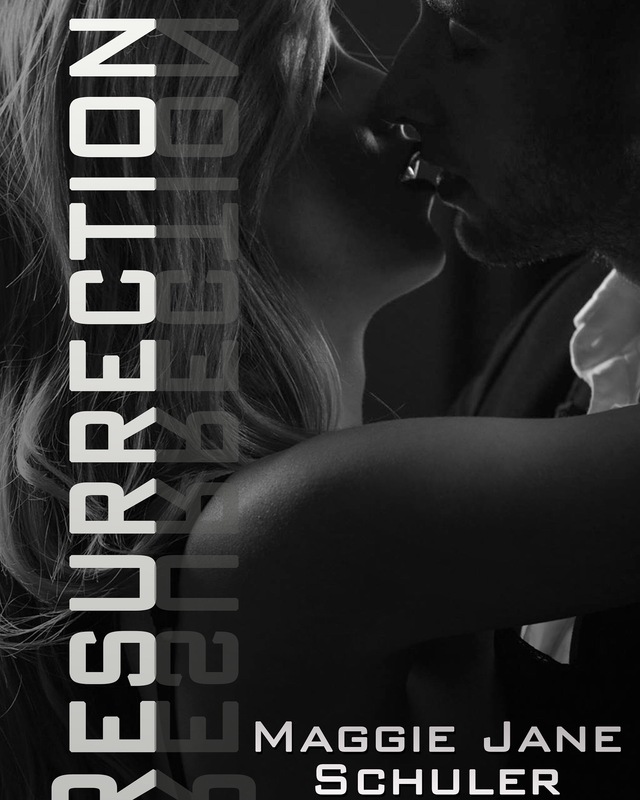 Please add Resurrection to your #TBR! #PreOrder links ready. Paperback will be up on both Amazon and Barnes and Noble around March 10. Then she comes crashing into my life. And in that instant, I know… My life will never be the same again. This entry was posted in Blog on March 7, 2017 by Maggie Jane Schuler. Resurrection Release Countdown in 5 Days! 5 days! Don’t forget to add to your #TBR, and enter the giveaway! Paperbacks will be available on both Amazon and Barnes and Noble around the March 10th. The proofs are shipping now! This entry was posted in Blog on March 5, 2017 by Maggie Jane Schuler. This entry was posted in Blog on February 26, 2017 by Maggie Jane Schuler. This entry was posted in Blog on February 21, 2017 by Maggie Jane Schuler.